Kommando's musical trademark right from the start have been Death industrial, power electronics and dark ambient symbiotically combined in a mesmeric and ritualistic way. 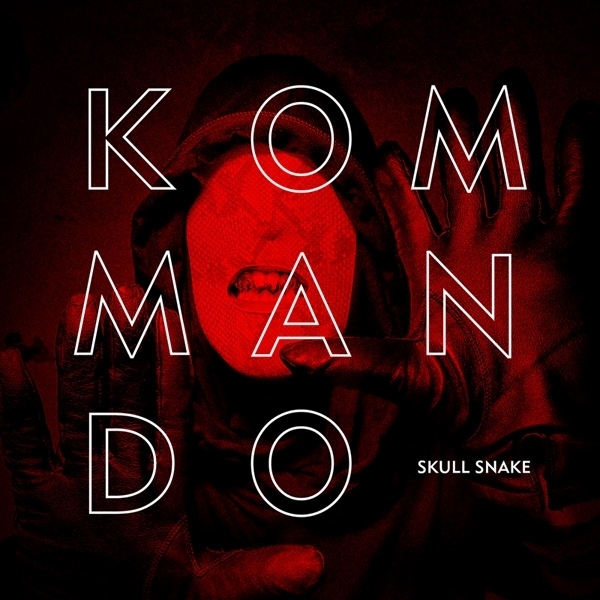 Kommando produce dark, gloomy atmospheres delivered with intent and dedication. Brick walls of slow-pace kick drums and immersive loops build a solid foundation for heavy synth lines, noxious waves of distortion and well-thought-out vocal processing. These unholy spoken meditations are performed by Dan Courtman himself, except for the 'serpent seed' track where Kommando presents acclaimed Swedish artist Trepaneringsritualen as guest vocalist. Claiming and accessible, rhythmic and seething at the same time, 'Snake Skull' is an oftenly static genre's enrichment, advisable to broad-minded listeners an increased awareness of past, present, and future.